How Safe are Roller Coasters and other Rides? The amusement industry is caught in a bizarre marketing and image dilemma. On the one hand, it wants to attract adrenaline junkies to ride the latest, greatest, meanest thrill rides at its theme parks and amusement parks. With names like "Flight of Fear," "Scream," "Mind Eraser," and "Lethal Weapon," parks brazenly position their marquee roller coasters as extreme adventures that invoke terror and dread. And they routinely attempt to outdo one another and generate hype and buzz by building new rides and positioning them as the fastest coasters or the tallest coasters. It's all about getting pulses to race and admission turnstiles to click. On the other hand, the industry wants to reassure park-goers that despite the wild names, hairy heights, insane speeds, and topsy-turvy acrobatics, thrill rides are actually quite safe and innocuous. The danger is all just an illusion. Or is it? Just how safe are roller coasters and other thrill rides? Any time there is an incident at a park, whether it results in a single injury or not, it tends to generate an inordinate amount of publicity and attention. That's partly because roller coaster and ride incidents play into our worst fears (which, as the coasters' names attest, are part of their appeal). Because of the fear factor, the media tends to sensationalize park incidents. This may lead the general public to believe that accidents and injuries at parks are pervasive and that coasters and other thrill rides are unsafe. Like airline disasters, however, the hype doesn't square with the facts. The bottom line: Theme parks and amusement parks in general, and roller coasters and thrill rides in particular, are remarkably safe. The trade group International Association of Amusement Parks and Attractions estimates that 369 million people visited 383 parks in 2017 in the United States and Canada and boarded about 1.7 billion rides. According to a report prepared by the National Safety Council, the chances of sustaining a serious injury in 2017 at a park was about 1 in 17 million. The chance of being hit by lightning? 1 in 775,000. According to the National Sporting Goods Association, the injury rates for golf, billiards, fishing, and camping are higher than amusement rides. In 2013, there were 912 injuries per million people who roller skated and 799 injuries per million people who played basketball. Compared to the sustained forces astronauts or fighter pilots experience, the G-forces coasters exert are brief. 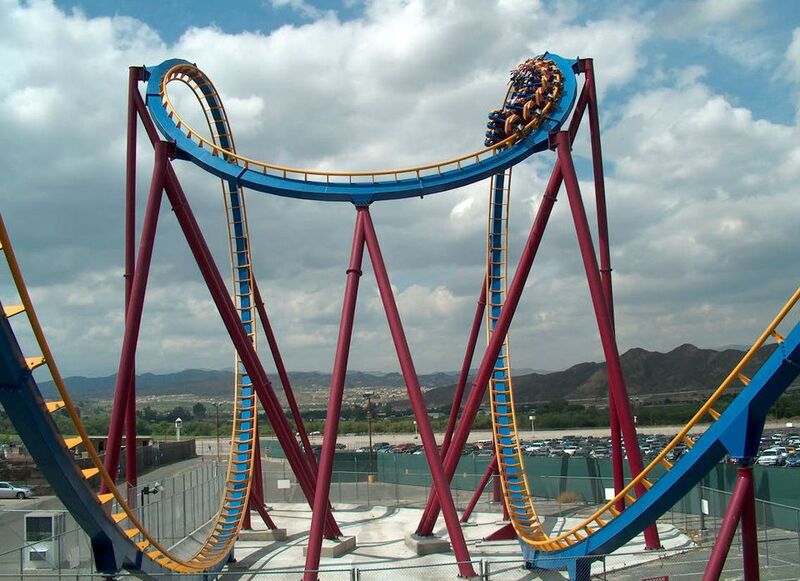 While coaster heights and speeds have been rising, rates of acceleration and G-forces have remained relatively constant and well within tolerable levels. According to studies, being hit with a pillow or falling on an exercise mat can cause much higher G-forces than riding a roller coaster.